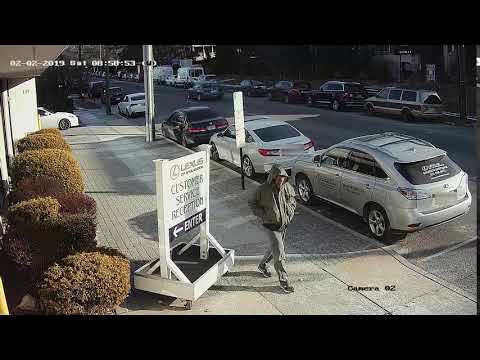 Englewood police on Friday released surveillance video of a man they believe is the "calm and composed" robber who fled with an undisclosed amount of cash from a local bank earlier this month. City detectives worked with the FBI were to review “a multitude of surveillance video sources,” to produce the one released Friday, Detective Capt. Timothy Torell said. The robber, “possibly armed with a long weapon,” wore a hooded coat, a mask that hid most of his face and gloves when he entered the Bank of America branch on Park Place around 9 a.m. Feb. 2, Torell said. After collecting the cash, he walked out the same doors he entered and vanished from sight, the captain said. The video above "shows the suspect walking south along Engle Street, without a mask, on the way to the robbery," Torell said. Anyone who might have seen something or has information that could help catch the robber is asked to contact CrimeStoppers, which offers cash rewards of up to $1,000 for any information that “significantly assists” a police investigation. Tips can be made anonymously at www.bergencrimestoppers.org or by calling 844-466-6789 . The phone line is monitored 24 hours a day, seven days a week. Citizens can also “like” CrimeStoppers at www.facebook.com/tricommunitycrimestoppers/ . They also could call city detectives directly: (201) 568-4875 .